Valkyrie Bock, 25 IBU, 7.0% Alc./vol. 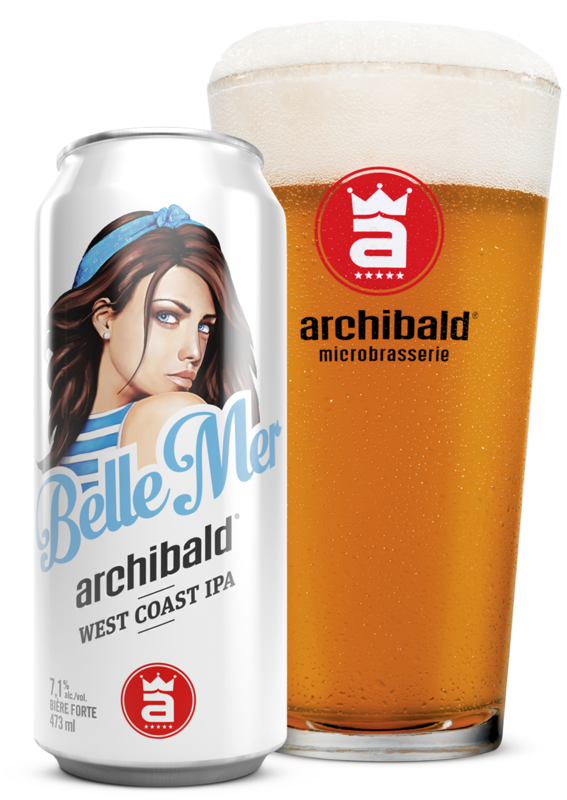 Belle Mer West Coast IPA, 70 IBU, 7.1% Alc./vol. Joufflue White wheat beer, 12 IBU, 4.2% Alc./vol. Brise du lac Pilsner, 25 IBU, 4.8% Alc./vol. Chipie American Pale Ale, 38 IBU, 5.0% Alc./vol. Ciboire India Pale Ale, 70 IBU, 6.0% Alc./vol. Désirée Blonde ISA, 40 IBU, 4.2% Alc./vol. Matante American Blonde Ale, 15 IBU, 4.9% Alc./vol. Nuit Blanche White IPA, 60 IBU, 6.0% Alc./vol. Clair-obscur Schwarzbier, 30 IBU, 5.5% Alc./vol. Tite 'Kriss Irish cream ale, 5.0% Alc./vol. Veuve noire Irish stout, 4.0% Alc./vol. Coquine Ale, 11 IBU, 4.0% Alc./vol. West Coast IPA, 70 IBU, 7.1% Alc./vol. Pale golden IPA that is naturally hazy. Typical west coast hops such as Centennial, Eldorado and Simcoe impart an intense aroma of tropical fruits that balances well with a long lasting hop aftertaste that is both clean and dry.